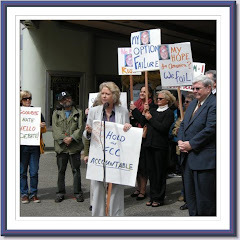 Sue Wilson Reports: FCC: No More Equal Time Requirements for Political Campaign Supporters Over Our Public Airwaves. 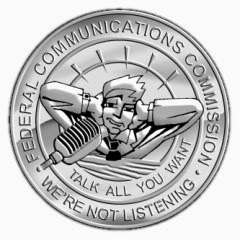 FCC: No More Equal Time Requirements for Political Campaign Supporters Over Our Public Airwaves. The 2014 FCC has now spoken [PDF] in response to a complaint filed by my not-for-profit, the Media Action Center (MAC). Unfortunately, their response comes as little surprise. It might, however, come as a surprise to the 1972 FCC. That year, the Federal Communications Commission discussed a ruling that became known as the "Zapple Doctrine". The rule extended the federal agency's interpretation of the equal time provisions, Section 315 of the Communications Act, to apply to supporters of candidates, as well as candidates themselves. If airtime was granted to a candidate over the public airwaves, equal time had to be made available to his or her opponent, if it was requested. What we were stating in Zapple was simply a common sense application of the statutory scheme. ... If the DNC were sold time for a number of spots, it is difficult to conceive on what basis the licensee could then refuse to sell comparable time to the RNC. Or, if during a campaign the latter were given a half-hour of free time to advance its cause, could a licensee fairly reject the subsequent request of the DNC that it be given a comparable opportunity? Clearly, these examples deal with exaggerated, hypothetical situations that would never arise. No licensee would try to act in such an arbitrary fashion. "Exaggerated, hypothetical situations that would never arise?" Really? "No licensee would try to act in such an arbitrary fashion"? Hey, 1972 FCC, please meet the 2014 FCC. ...the Commission cannot exercise any power of censorship over broadcast stations with respect to content - based programming decisions. A licensee has broad discretion --- based on its right to free speech --- to choose the programming that it believes serves the needs and interests of the members of its audience. What it means is the agency tasked with protecting the public interest in broadcasting has decided that what WISN and WTMJ, two powerhouse, publicly-licensed radio stations in Milwaukee, were allowed to give away all the free time they wanted to the supporters of one candidate (in this case, Gov. Walker), without allowing supporters of his Democratic recall opponent (Tom Barrett) any free airtime at all. Not just free airtime to discuss various issues surrounding the election, but free airtime time specifically used to tell people to vote for Walker and to recruit volunteers for the Walker campaign just weeks prior to the election. Given the fact that the Zapple Doctrine was based on an interpretation of the fairness doctrine, which has no current legal effect, we conclude that the Zapple Doctrine similarly has no current legal effect. To understand this, one must understand the difference between "law" and "rules," and "rulings." The FCC passes many rules to make the laws in the Communications Act fully functional. In its ruling, the FCC is saying there is no law against a radio station giving millions of dollars of free airtime to get their favored political candidate elected, and there is no codified FCC rule against it, either. Storer (Broadcasting Company) recommends, therefore, that Zapple should be codified in Commission rules or be incorporated into Section 315 to remove it from the ambit of the fairness doctrine. Because Zapple reflects simply a common sense distillation of the public interest in certain political broadcast situations, there is no need to try to codify it or engraft new corollaries onto it. On the contrary, we have concluded that, generally, traditional fairness works better by setting out broad principles and permitting the licensee to exercise good faith reasonable discretion in applying those broad principles. "Reasonable discretion." This is one of the phrases used in the 2014 ruling that makes me hopping mad. But more on that soon. In the meantime, in a followup to our original complaint, we told the FCC that if it decided Zapple was unenforceable due to the absence of the Fairness Doctrine, we request a new rule. But what we really need is a new law. As the U.S. House has said they intend to update the Communications Act anyway, now is the time. But will fair-minded Republicans support such a law, when the Wisconsin case proves that, through their use (or mis-use) of our public radio airwaves, they are able to win elections for the GOP?